For 50 years, I was a faculty member and administrator at Lee University in Cleveland, Tennessee. We worked hard every day to stay true to our mission of Christ-centered education and all that implies for faith integration, hiring, admissions, and student development. Like our colleagues across the spectrum of higher education, we came to understand the power of experiential learning, and we implemented cross-cultural and service requirements for all our undergraduates. Our controlling purpose was to show our students how to use their academic gifts and skills to address the needs of the world. When I retired from that position in May, I asked God for new ways of using my own gifts for the public good. His next step for me is to be the interim vice president for educational programs at the CCCU. After decades of working with CCCU student programs from the college’s side, I now have the opportunity to see the CCCU from the inside. My primary responsibility is for student programs, and I have been steeping in the details of all the CCCU has to offer. I am so excited about what I am learning. Out of necessity, we often talk about experiential learning programs in terms of finances and logistics, transfer of credits, and use of institutional aid. But beyond those necessary concerns, there is a wonderful world of students interacting with talented faculty and program directors over the world’s deepest divides and greatest complexities. Each program is unique, and each offers something it is difficult or impossible to duplicate through our single-campus programs. The semester-long interaction with students from across the spectrum of CCCU schools creates a wider dialogue, and program directors bring years of experience in fostering such essential conversations. Campus-based short-term programs are invaluable, but from my perspective, the CCCU programs create a unique environment for developing life-long skills and commitments in the context of faith. My closest neighbors in my office building are the energetic and visionary students and staff of the American Studies Program. They represent a bright hope for our future as they spread out across Washington, D.C. for their internship assignments, bringing with them all the good training and faith integration of their home institutions. They carry their energy and vision to the Supreme Court, to the offices of Congress, and to think tanks and organizations across the city. They study public policy and Christian political engagement, learning to be salt and light in a pluralistic society. At the Los Angeles Film Studies Center, students gather within view of the iconic Hollywood sign to focus on developing their voices as artists while examining how to be Christians in a challenging professional world. While studying courses such as Faith and Artistic Development in Film, they have astounding internships, and the walls of the offices are covered with framed posters of the films students have worked on. The other domestic program is the Contemporary Music Center in Nashville, Tennessee. Students in this program prepare and perform a show every week that receives a bracing critique from center directors. The final exam is an actual tour arranged and performed by the students at locations across the country. 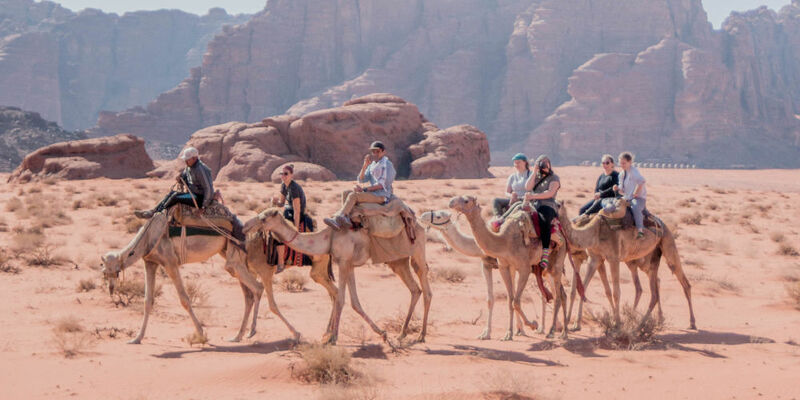 Students in the Middle East Studies Program in Jordan face all the conundrums of a part of the world where there are no easy answers. They use the skills you have taught them to think critically and compassionately about some of the world’s most daunting challenges. Similarly, students in the Uganda Studies Program dive into the health and social issues of the developing world and engage with the culture through service projects and interaction with classmates at the Uganda Christian University. In Central America, a similarly complex part of the world, Latin American Studies Program students polish their Spanish in class and in homestays, and they connect classroom learning with the real world through community immersion and regional travel. Students at the Australia Studies Centre take classes at Christian Heritage College, travel to the Outback, and learn about the varied and fascinating indigenous cultures of that region. The world desperately needs Christian scholars, and the Scholars’ Semester in Oxford offers CCCU students a chance to prepare for that at the highest level. Students participate in Oxford tutorials and write over 250 pages of carefully critiqued work over the semester. The CCCU also offers students a chance to study peacemaking and reconciliation in Northern Ireland. What I have learned in my few weeks here is that the BestSemester programs are extensions of our individual campuses’ excellent work, bringing together students whose gifts you have honed. They are learning what we all want our students to learn – how to use their gifts and skills for the good of humankind, as Steven Garber says, and how to know the world and still love it. Through their experiences in CCCU programs, we build on your work in ways that enhance our shared goals of preparing students to make a difference in the world. Carolyn Dirksen is interim vice president for educational programs at the CCCU.